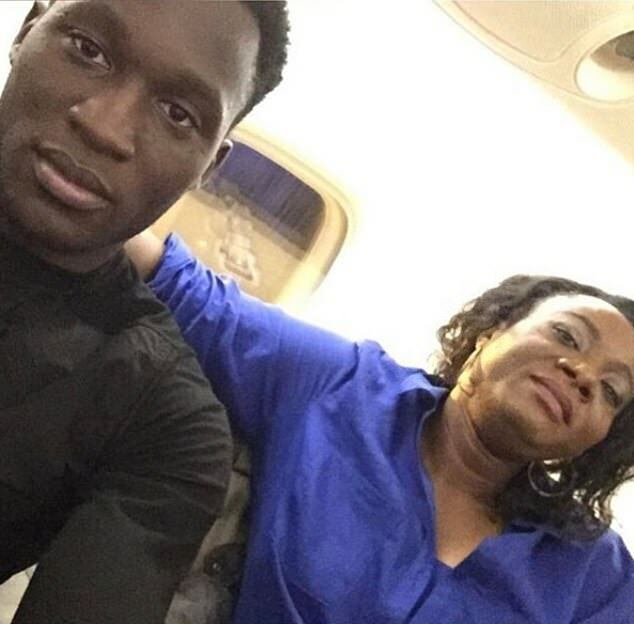 Manchester United player, Lukaku's mother has been really thrilled after meeting with Barcelona talisman, Lionel Messi. You would imagine being the mother of a Premier League star would make you used to superstardom. 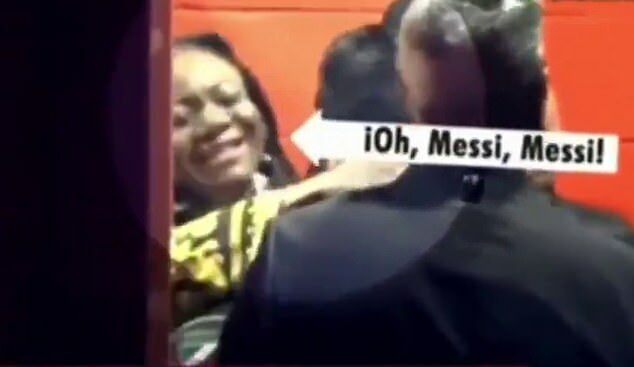 However it appears that even Romelu Lukaku's mum can become a fan girl when confronted by Lionel Messi. 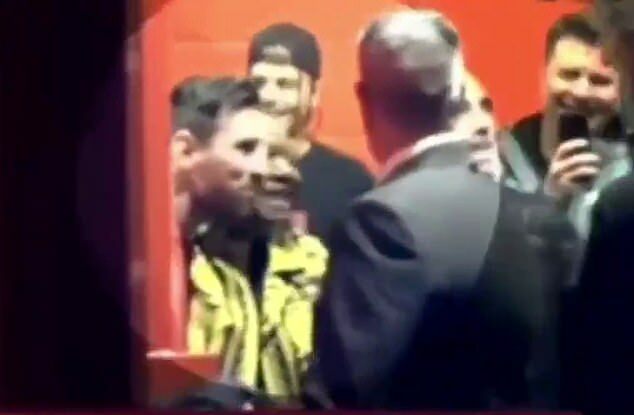 A video has emerged of Adolphine Lukaku barely able to contain her excitement at meeting the Barcelona forward at Old Trafford this week. Messi was part of the Barca side that earned a 1-0 away win over Manchester United in the first leg of their Champions League quarter-final on Wednesday night. Adolphine giggled like a little girl as she posed for a picture with the Argentine and then they shared a warm embrace. She muttered 'Messi, Messi, Messi' while shaking her head in disbelief as they hugged it out. It was a moment for Messi to look back at fondly after a rare off night against United. The 31-year-old was below par and was left nursing a nose bleed and a bloody eye after taking an elbow in the face from Chris Smalling. He will hope to be back to his best on Tuesday night when Barca hope to defend their lead at the Nou Camp.